With this product, you earn 21 Reward point(s). 21 points = $0.21. 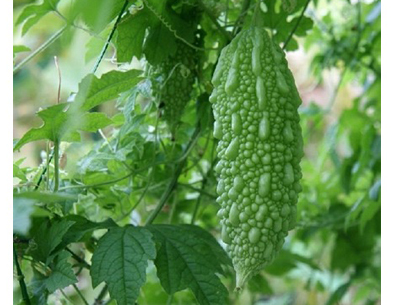 Bitter melon, also known as bitter gourd or karela (in India), is a unique vegetable-fruit that can be used as food or medicine. 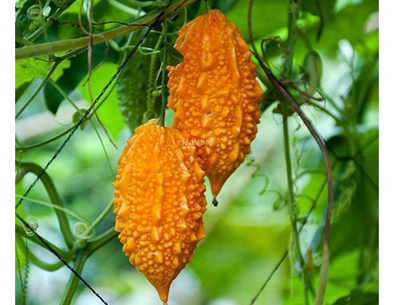 It is the edible part of the plant Momordica Charantia, which is a vine of the Cucurbitaceae family and is considered the most bitter among all fruits and vegetables. The bitter melon itself grows off the vine as a green, oblong-shaped fruit with a distinct warty exterior - though its size, texture and bitterness vary between the different regions in which it grows - and is rich in vital vitamins and minerals. How does it affect diabetes? In addition to being a food ingredient, bitter melon has also long been used as a herbal remedy for a range of ailments, including type 2 diabetes. The fruit contains at least three active substances with anti-diabetic properties, including charantin, which has been confirmed to have a blood glucose-lowering effect, vicine and an insulin-like compound known as polypeptide-p. These substances either work individually or together to help reduce blood sugar levels. It is also known that bitter melon contains a lectin that reduces blood glucose concentrations by acting on peripheral tissues and suppressing appetite - similar to the effects of insulin in the brain. This lectin is thought to be a major factor behind the hypoglycemic effect that develops after eating bitter melon. A number of clinical studies have been conducted to evaluate the efficacy of bitter melon in the treatment of diabetes. What other health benefits does it have? It is also used to heal wounds, assist childbirth and, in parts of Africa and Asia, prevent or treat malaria and viral diseases such as measles and chicken pox. In addition, researchers from Saint Louis University in the US say they have shown that an extract from bitter melon can kill breast cancer cells and prevent them from growing and spreading. Wash the herbs on running water, boil for 1 hour to 2 hours depends on ingredients.